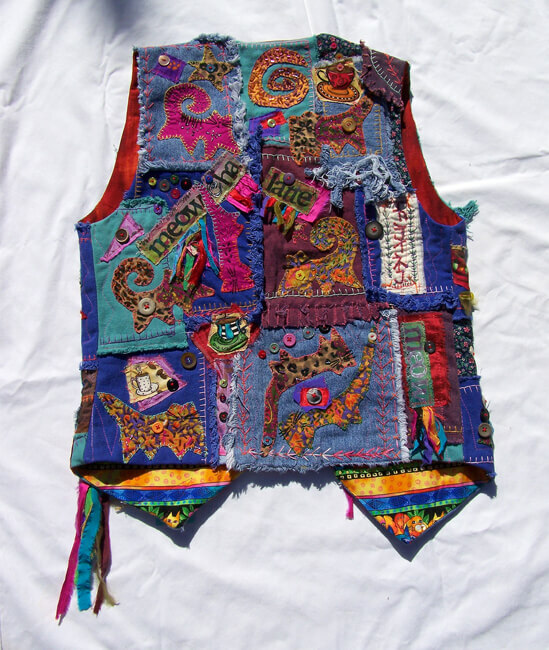 Hand appliqued, beaded vest is an artistic masterpiece. 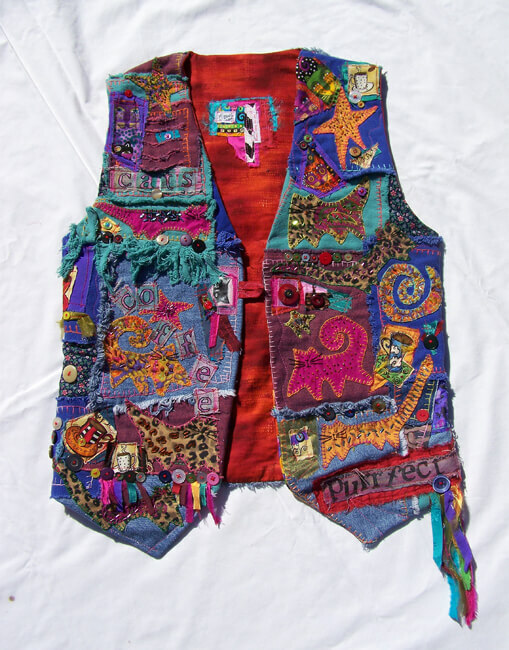 Thirteen kitties, with spirals, stars, and coffee cup appliques, plus stamped, painted canvas with a complex collage of beads, buttons and torn silk. If you love cats and coffee, this vest is purrfect for you. Lined in red cotton, signed and dated by the artist. Fits a standard medium, with deep arm holes. Chest and waist measurements are 38", and the vest is 23" long from the neck to the bottom. Single loop and button closure. Not a fitted style. A work of art that took months to produce. Designed and stitched by Mary.